ROCKDALE COUNTY, GA (WXIA) -- West Virginia State Police say they have shot and killed a man in connection with a deadly shooting at a Goodwill Donation Center in Rockdale County. 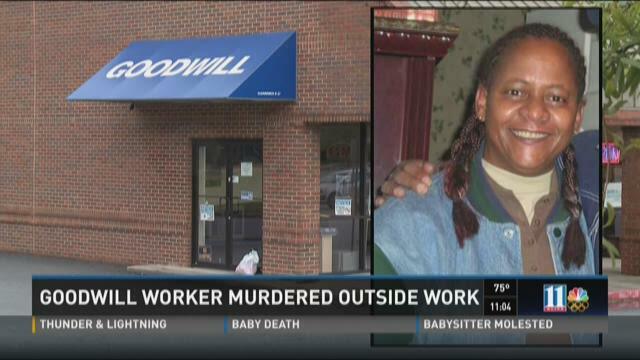 According to the Rockdale County Sheriff's Office, 57-year-old Pamela Harmon was set to open the Goodwill Donation Center on Highway 20 and Oglesby Bridge Road Tuesday morning when she was shot and killed by former co-worker, 28-year-old Brandon Johnson. Deputies said they found Harmon's body outside in the parking lot. Later in the day, West Virginia State Troopers pulled Johnson over based on the information from Rockdale County officials, who were searching for his vehicle. Family members say Harmon was an Army veteran, a wife and mother to two grown children and raising her two nephews ages 12 and 10. Tuesday evening, several bouquets of flowers had been left at the Goodwill Donation Center in Rockdale County to honor Harmon.